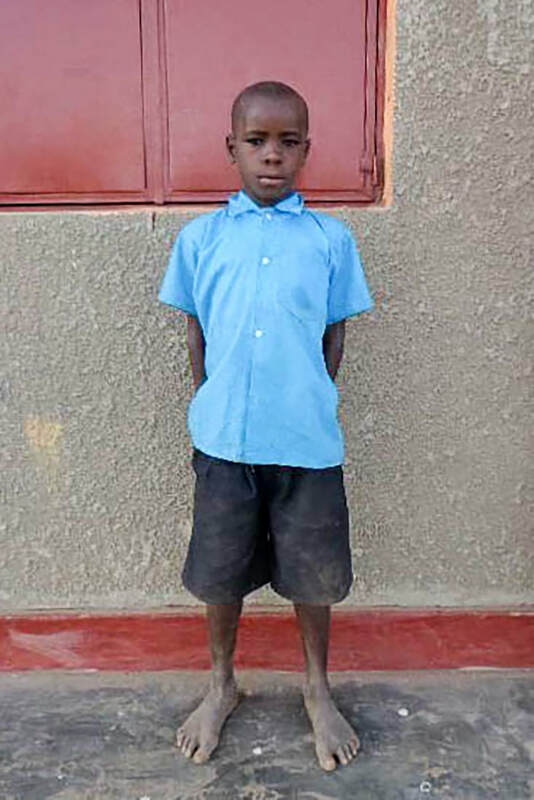 Home information: Raphael is growing up in the village of Bugoi in rural northeastern Uganda. He lives with his mother, father, four brothers, and two sisters. His family supports themselves by “digging”—they grow cassava to eat and to sell at market when possible. Raphael helps at home by sweeping. However, the family struggles to meet all of their needs. Raphael’s most immediate need is education. School information: Raphael has been able to attend primary grade 1 at a government school, but his family is struggling to continue his education. With sponsorship, he will join the Bugoi Haven of Hope Nursery and Primary School, where he will be placed in the appropriate grade for his age and learning level. In Uganda, nursery school lasts for three years and is followed by seven years of primary school and six years of secondary school. At the Haven of Hope school, Raphael will learn and play, be taught about God, and receive meals and medical care. Village information: In Bugoi, most people live in small groupings of mud huts with thatched roofs and depend on small-scale farming or gardening to meet their basic needs. This is often made difficult by drought, which can lead to poor harvests and famine. The Haven of Hope school is located near a lake, where some villagers also engage in fishing. Families tend to be large, and many adults care for orphans in addition to their biological children. Disease, including HIV and AIDS, is common and has left many children without one or both of their parents. Poverty also keeps many children from attending school, as families struggle to meet their basic needs and afford school fees. The local language spoken in Bugoi is Kumam, but children who attend school also learn English, the official language of Uganda. Prayer requests: Raphael would like prayer for a good future.